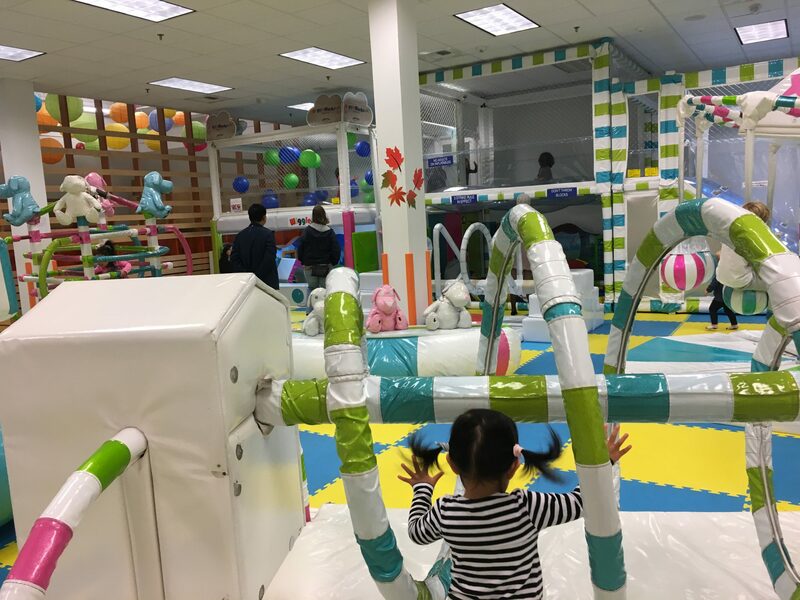 WiggleWorks Kids is an indoor playground at Crossroads Mall, Bellevue. It’s a super fun way for kids to spend a rainy day. Read my WiggleWorks review to see why we think it’s awesome! 5 out of 5 elephants! 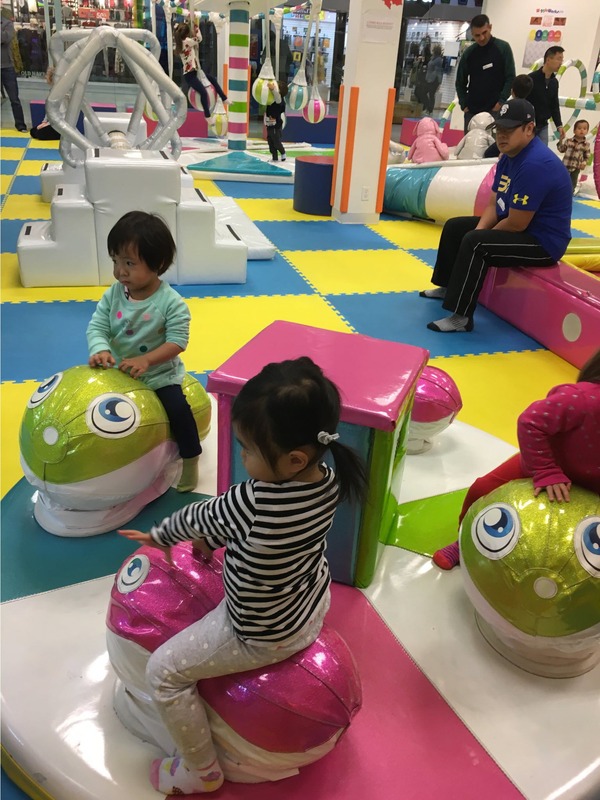 This is a medium-sized, well-run playground with lots of rides and things to play with! Very fun and well-worth the admission fee! Note: I’m not compensated in any way for this review. This is simply the 100% unbiased opinion of a mom who’s tried the indoor playground. We love going to WiggleWorks when it’s too wet to play outdoors. The interiors are bright and colorful, and super cheerful when it’s wet and dreary outside. 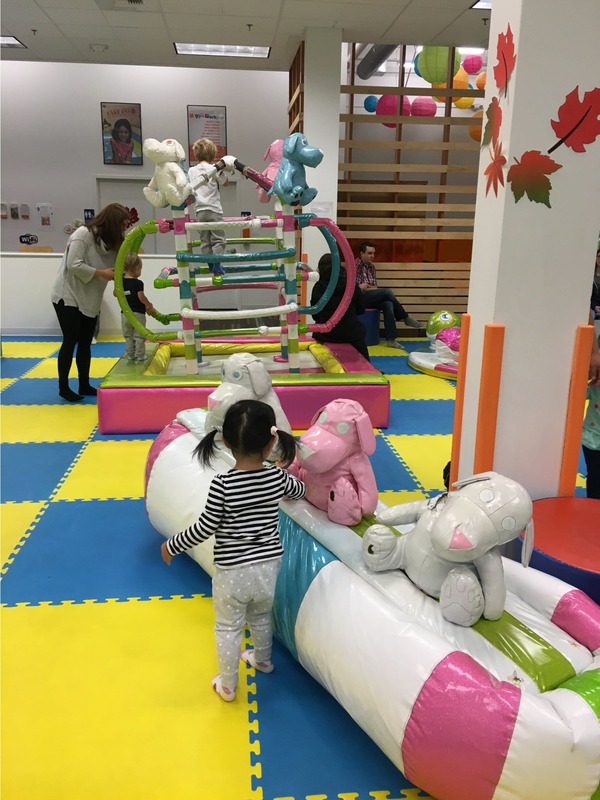 It’s like a mini amusement park with enough rides, bouncy slides and toys to keep a kid entertained for hours! 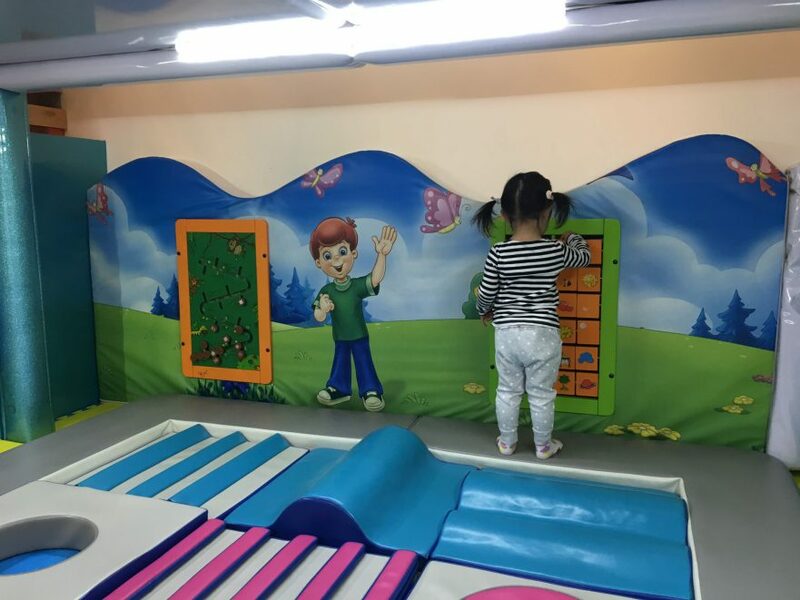 It’s easy to run out of new things to look at and play with in a confined space, but WiggleWorks had enough going on to keep my kid entertained. There were plenty of rides to hop on and off, and different play nooks and spaces to explore. Overall, the playground had enough sensory stimulation to keep her occupied. The liquid-filled trampoline is pretty cool! My kid was mesmerized by the sloshing liquid inside the trampoline. We enjoyed exploring the cozy nook under the balloon room. There were also giant Lego blocks and wall games to play with. 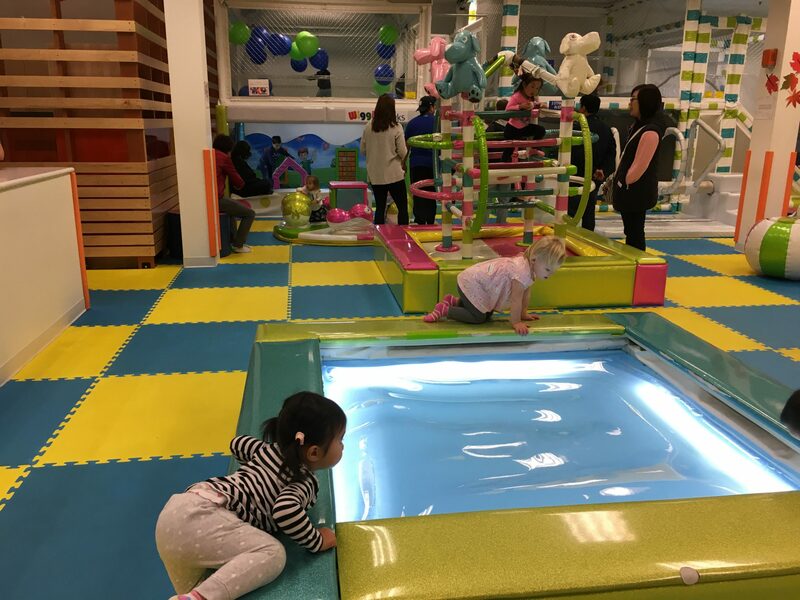 This indoor playground is incredibly popular and can get pretty busy at peak times (rainy weekends especially) but I found it to be clean even when there were lots of foot traffic. The equipment looked a tad worn in some places, but that doesn’t bother me as long as it is clean. WiggleWorks is located at Crossroads Mall, an awesome community mall for families. There’s a great food court (try the Thai food! ), bookstores, ice cream shop, games and craft stores, and a QFC, which makes for super convenient shopping and errands-running. WiggleWorks stay open till 9pm on Monday-Saturday, which is awesome for post-dinner fun! Wear socks! And bring a snack and drink so your child can refuel. Consider purchasing the value packs, which would bring the admission price down to about $8. Yes definitely! My kid loves this playground and we’ll be back again and again! Just be aware that this playground is very popular and can get pretty busy during weekends and rainy days.